The castle cellar of the Liechtenstein Schloss Wilfersdorf offers the wines of the Hofkellerei Stiftung Fürst Liechtenstein and 14 other vintners from the area. A cooperation of 29 vintners offer more that 25 different white, red and sparkling wines. 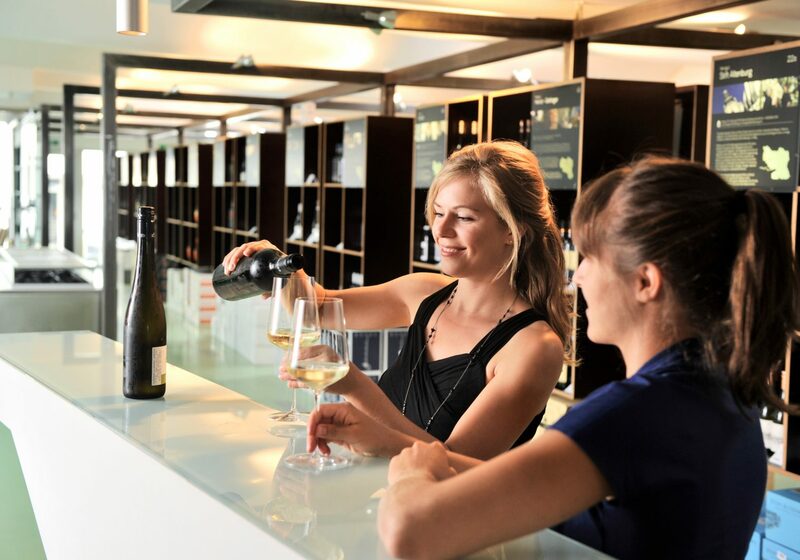 Lower Austria’s largest regional wine shop presents the best wines from 50 top Weinviertel producers. The splendid tour of the Retzer Erlebniskeller (Retz Experience Cellars) concludes in the Althof Vinothek with 120 different wines from around 60 different producers. The 60 best wines from the market community of Mailberg Valley offer their wines to taste and purchase at ex-cellar prices in the historic vaults of Schloss Mailberg. Erich Schreiber and Hermann Schuckert have put around 300 Weinviertel wines together that can be tasted and purchased at ex-cellar prices. This farmer’s shop offers wines and regional specialties from 13 wine farms in the Mistelbach vicinity.